Example found on 12/17/2018 10:46 AM o'clock. If you choose a different rental period, the price can deviate from the example. This offer was found on 12/17/2018 10:46 AM. Completely satisfied, will use again. Augsburg is a city in Swabia, Bavaria, Germany which is considered a Free Imperial City for over 500 years of its long existence which documents it to be the third oldest city in Germany. It has a population of 289,584 people and it was founded by the Romans as Augusta Vindelicorum, a name derived in recognition of the great Roman Emperor Augustus. The most notable cities nearby are Munich to its south-west, which is about 57 km away, and Nuremberg to its north, which is approximately 121 km away. A notable fact about Augsburg is the varied architecture owing to the various regimes over the centuries. Some of the buildings have the medieval, 11th-century design such as the St. Mary's Cathedral as a classical example. It is such marvelous and numerous designs that are spread out through the city most of which make it difficult to maneuver around via public means. 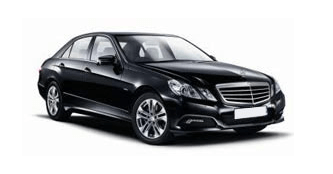 It is why you should consider a car hire in Augsburg. We at HAPPYCAR are an online based car hire service and we pride ourselves on ensuring that our clientele has no form of trouble moving from one point to another in whichever destination or city they are in. We have partnered with AutoEurope, AutoEscape, Europcar, Holiday Autos, RentalCars, and CarDelMar to offer affordable car hire services. By visiting the site and for instance typing 'car rental Augsburg' or 'car hire Augsburg' you can view the search results tailored to your area or destination and we will link you up with a car. If you opt out at the very last minute even within 24-hours, not to worry because we won't deduct or impose any additional charges. Augsburg was founded in 15 B.C. by Tiberias and Drusus who were the stepsons of Emperor Augustus. A major advantage of the city was its strategic location, which was to allow it to thrive economically and as a military vantage point. Geographically, the Alpine rivers Wertach and Lech were to make it easier to transport goods downstream and plus it was a well-marked trade route. Another reason why it thrived was that two noble banking families the Welsers and the Fuggers who amassed a lot of wealth and also created employment while invested within the city ended up uplifting it economically. Over the centuries, it has experienced many acts of war from neighboring factions owing to it being a lucrative trade route. Even in the 19th century during World War II, it was an important re-armament zone for the German army. Today, it is the only city in Germany with its own national holiday. So why not opt for a rental car in Augsburg to explore this masterpiece of a city? A road trip in Augsburg facilitated by a car hire in Augsburg is a marvelous idea mostly because of the architectural style that adorns the buildings within the city. You can have your driver slow down the pace as you sit strategically in the car snapping up every single building you pass by on your mobile or camera. There is no traffic limit on the number of times that you can circle around and it is also a bonus to know that the driver is qualified enough to adhere to the traffic rules in addition to being conversant with the language and region in general. So, rent a car with us today.